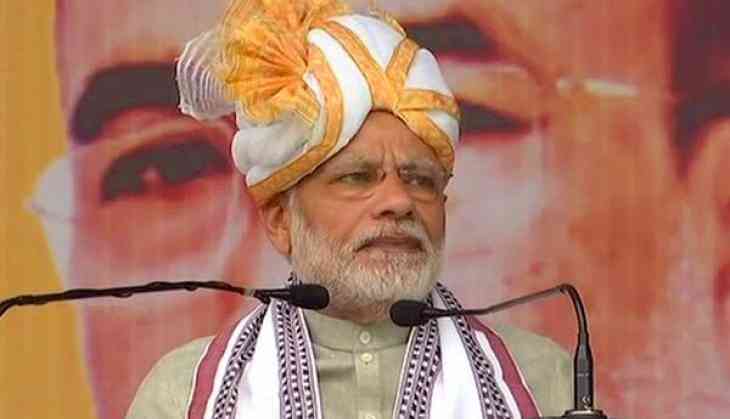 Prime Minister Narendra Modi on Friday stressed on the necessity to inculcate a scientific temper among the youth. After inaugurating the 105th session of Indian Science Congress here, he said that it is important to throw open the institutions and laboratories to the children and called upon scientists to develop a mechanism for interaction with them. The Prime Minister also stressed that the Centre has come up with new initiatives to promote the 'R&D' as 'Research' for the 'Development' of the nation. "The time is ripe to redefine 'R&D' as 'Research' for the 'Development' of the nation. Science is after all, but a means to a far greater end; of making a difference in the lives of others, of furthering human progress and welfare," the Prime Minister said. "Our scientific achievements need to be communicated to society. This will help inculcate scientific temper among youth," he added. The Prime Minister said India has a rich tradition and a long history of both discovery and use of science and technology. He even called upon the scientific community to extend its research from the labs to the land. "I am confident that through the dedicated efforts of our scientists, we are embarking on the road to a glorious future. The future we wish for ourselves and for our children," he said. He said that the Centre is committed to increase the share of non-fossil fuel based capacity in the electricity mix above 40 percent by 2030. Terming India as the leader in the multi-country Solar Alliance and in Mission Innovation, the Prime Minister said that these groupings are providing a thrust to R&D for clean energy. "Our Government has already given the go-ahead to establish 3rd LIGO detector in the country. It will expand our knowledge in basic sciences in the areas of lasers, light waves, and computing. I am told that our scientists are tirelessly working towards making this a reality," Prime Minister Modi said. "We have approved a 'Prime Minister's Research Fellows' scheme. Under this, bright minds from the best Institutions in the country, like IISc, IIT, NIT, IISER & IIIT will be offered direct admission in Ph.D in IIT & IISc. This will help address brain-drain from our country," he added. Further stressing on the issue, the Prime Minister said that the Government has set a target of 100 GW of installed solar power by 2022. He even urged the scientists take a challenge to come up with a more efficient solar module, which can be produced in India at the same cost. The Prime Minister said that Indian need to be future ready in implementing technologies vital for the growth and prosperity of the nation. "Technology will allow far greater penetration of services such as education, healthcare, and banking to our citizens," he said. #वर्ल्डकपः तब क्या होगा जब विराट कोहली का बल्ला नहीं चलेगा?